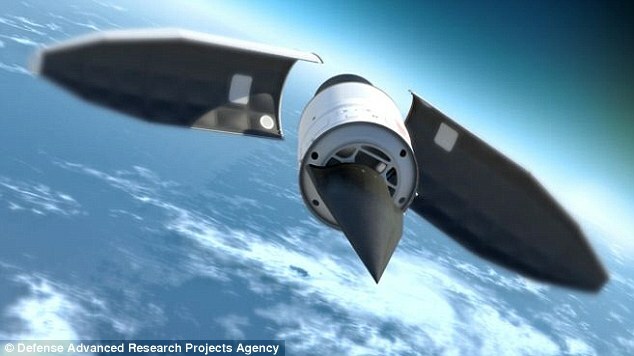 An experimental unmanned aircraft that fly at 20 times the speed of sound is to undergo a crucial test flight on Thursday. The Falcon HTV-2 will be launched on a rocket into space then will glide back down to Earth at speeds of 13,000mph. The previous test flight lasted only nine minutes before being deliberately crashed as a safety measure due to technical difficulties. This mission, should it succeed, could set new records in sub-orbital space travel and pave the way for a generation of super weapons. The rocket carrying the Falcon will take off Thursday, weather permitting, from Vandenberg Air Force Base in California aboard an Air Force Minotaur IV rocket, which is a decommissioned ballistic missile. The test was originally scheduled for Wednesday. The Falcon will then separate off and come back down at colossal speeds – it would take less than 12 minutes to fly from New York to Los Angeles, a journey which takes a normal jet more than five hours. 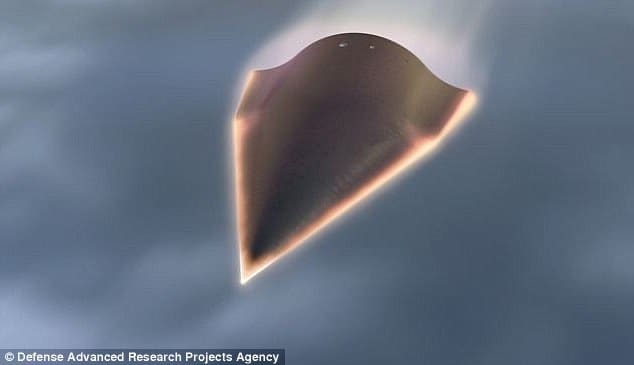 The project is being developed by The Pentagon and the Defense Advanced Research Projects Agency (DARPA) as part of a new generation of hypersonic weapons that can strike faster than missiles. The U.S. military hopes it will enable them to hit terrorists or rogue states anywhere in the world in under an hour. The capability is known as Conventional Prompt Global Strike, or CPGS. DARPA engineers have not yet been able to pinpoint what exactly went wrong during the first flight, which took place in April last year, and some have speculated that the craft ‘got too hot’. For its second mission a number of adjustments have been made including altering the centre of gravity and lowering the angle of descent. DARPA is planning to take second by second readings that will enable it to advance the project further. 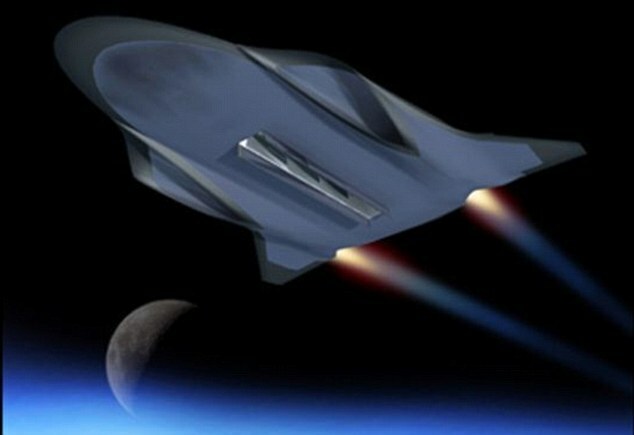 Dave Neyland, director of DARPA’s Tactical Technology Office, said: ‘DARPA looks forward to conquering more unknowns about long-duration hypersonic missions. ‘We need to increase our technical knowledge to support future hypersonic technology development. The Falcon’s first flight had collected data about aerodynamics, how heat affects the craft and navigation. It also provided the first time that a real-life Mach 20 flight could be studied outside of a lab. 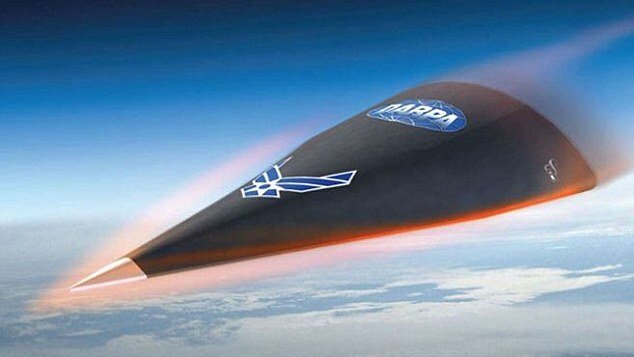 ‘Assumptions about Mach 20 hypersonic flight were made from physics-based computational models and simulations, wind tunnel testing, and data collected from HTV-2’s first test flight—the first real data available in this flight regime at Mach 20,’ said Air Force Major Chris Schulz, the Falcon programme manager. PREVIOUS POST Previous post: Are We in the Right Path to Personal Growth and Emotional Health?